It's no secret that I am a huge fan of aden + anais products. As a matter of fact, way back when Maclane was born and I was gifted with my very first set of muslin swaddle blankets, it was love at first sight (and touch). Their line of swaddle blankets and dream blankets has quickly become one of my favorite gifts to give both brand new and seasoned mothers after the births of their babies. 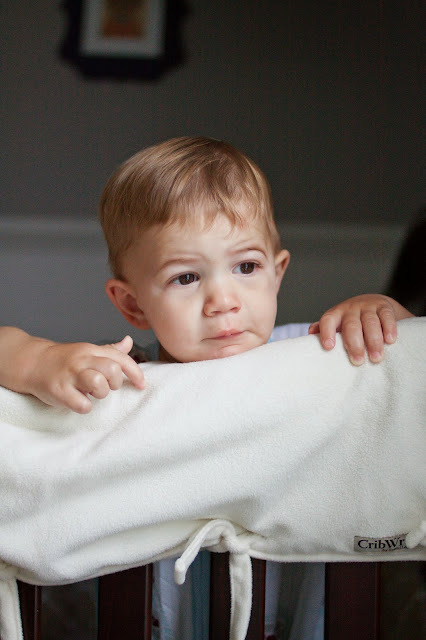 With the crazy weather we've been having lately, chilly mornings turning into stifling afternoons turning into frigid nights, it's been quite the hassle dressing Maclane for both naps and bed time each day. AC on to AC off to heat on to fan only, I never know the kind of temperatures nap time and bed time will bring with them. Putting Maclane down to bed with one of aden + anais' sleeping bags not only alleviates some of that stress but it also alleviates any worry I might have of him getting tangled had I put him down to bed with a blanket instead. 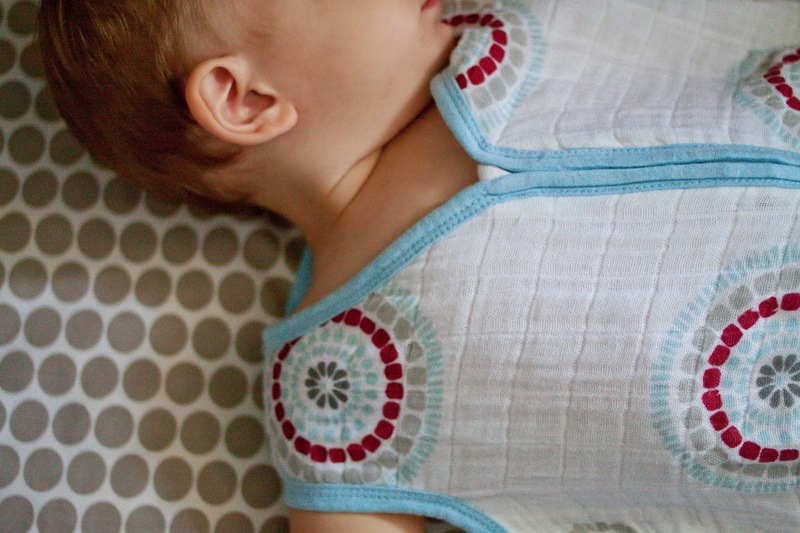 Made from their infamous breathable and lightweight muslin, baby can sleep safely and soundly while wearing the sleeping bag. Available in two thicknesses, Single Layer and a four layer Cozy Muslin, there's a sleeping bag for every climate. 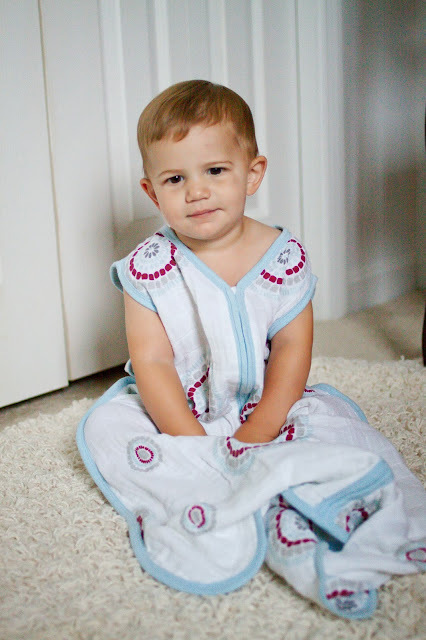 aden + anais sleeping bags are designed to be worn comfortably over your baby's pajamas in place of a blanket. 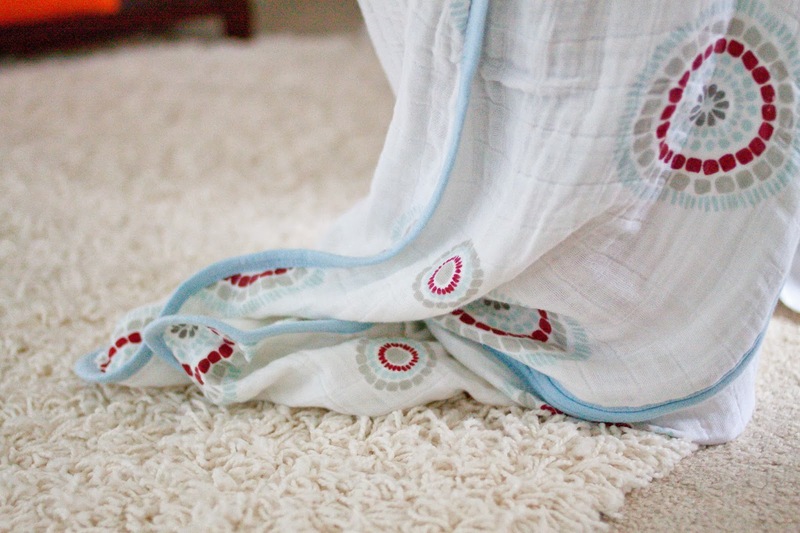 Not only is putting your baby down to sleep with a blanket a safety hazard but babies often kick these blankets off at night, becoming chilly and waking themselves up in the process. With the aden + anais sleeping bags from Lil Sweetie Designs, baby can sleep comfortably and safely while you, too, sleep without worry. You'll notice in the following pictures how the zipper is safely hidden beneath a piece of muslin fabric- not only does this deter baby from unzipping the bag but it also protects baby's sweet little face from being poked and scratched by the zipper while worn. During these awkward transition temperatures, I find myself dressing Maclane in a short or long-sleeved cotton onesie before zipping him up in his sleeping bag. As the temperatures continue to drop, I will likely add a pair of thin cotton leggings as I transition him to the thicker, warmer Cozy Muslin bag. During the warmer summer days, I would simply strip him down to his diaper and zip him up in the single layer muslin sleeping bag. - Made with a variety of adorable gender neutral prints, there's one for every baby! One of the questions I receive the most is, "But doesn't your mobile baby get tangled in his blanket if he tries to stand and walk?" and my answer is always no. There is a generous amount of fabric at the end of the sleeping bag which allows Maclane plenty of room to walk run. Whenever he wakes from his sleep, he immediately starts running laps around his crib and I've never had any trouble with him getting tripped up by the sleeping bag. 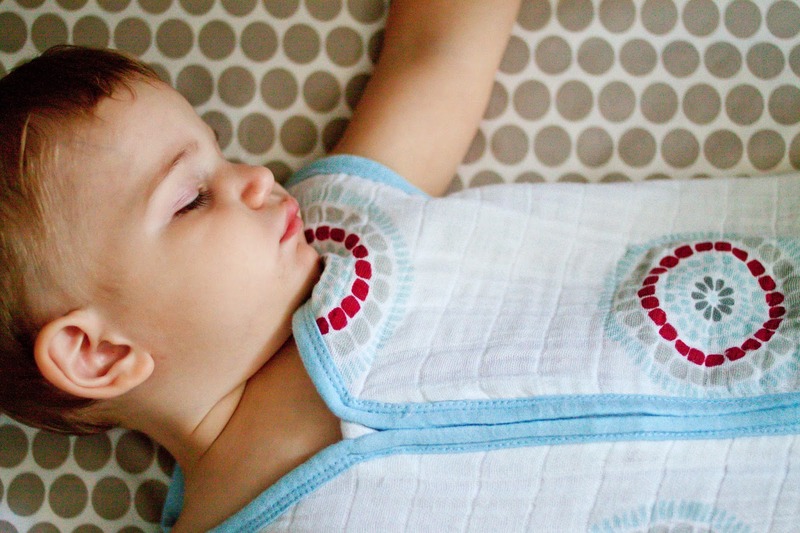 We love our aden + anais muslin sleeping bags from Lil Sweetie Designs and would recommend this product 100%. In fact, to encourage you to try it out or perhaps add another to your collection, Cameron, the owner of Lil Sweetie Designs is offering all ILYMTC readers 20% off their aden + anais purchase. Not only does this include sleeping bags, but also swaddles, dream blankets, bibs, burp cloths and more! Disclaimer: I did not receive financial compensation for this post. I did receive product for free in return for my honest thoughts and opinions as disclosed above. We have one! In fact, I'm laying in bed snuggles with a little boy who is wearing one. They are fabulous! We actually have 2-- lightweight and winter weight. I LOVE sleeping bags for my girl and she will be in them till she is too big for them! I used blankets for her in the moses basket but as soon as she was moved to her own room (at 6 mths) she has been in sleeping bags ever since. In the summer she was in a 1 tog wearing barely anything on herself (my baby hates the heat!) and the rest of the year she wears her 2.5 tog and different clothing dependant on the weather. I am thinking of investing in a 3.5 tog one for the winter as Scottish Winters can sometimes be awful with temperatures going down to about -15C but we shall see. I love the fact she cannot kick off blankets and get cold and Ive never had issues with her not being able to sit up/stand/move around her cot until I can get in and pick her up. Honestly could not reccomend sleeping bags more! So off topic - but in the last picture Mac looks like he is thinking "can I launch myself off of this chair and give mom a heart attack?". And the weather, hello Eastern PA disaster area fall climate. What size does Mac use? I saw an XL at TJMaxx the other day but wasn't sure if Carson would be swimming in there! What size is Maclane wearing in those pictures? I have a little guy who is just a month younger but is roughly the same size and I'm debating between large and x-large. My favorite brand of swaddles - we never really did the sleep sack thing. I always buy these for expectant friends! I LOVE THESE! I never had any with Easton but I definitely want to get some for Emerson! I love the little blankets and the little zipper bags....genius!!!! I'm going to get online and look at these! i am totally on board! it took forever to get isaiah on the bandwagon until he felt the bamboo. they are so nice to have! i think we will need to invest in one of these! Eeek, Mackie looks so precious in his bag! LOVE A+A....our very first baby blanket that we were given for Cameron (and that he was wrapped up in when he was born) is the same design as M's sleeping bag! Great discount! Thanks!